Ohio has earned the dubious reputation of becoming a hot spot for bloodsucking bed bugs. That’s not the type of reputation any state wants as it negatively impacts business owners, residents, and travelers. The word “epidemic” is being used frequently to describe the current situation in Ohio. While bed bug infestations occur around the United States, some of the northeastern cities in Ohio have taken on epic proportions of these wily and secretive pests. Dayton, Columbus, Canton, and Akron are a few of the hardest hit cities and nowhere is immune. Bed bugs have been spotted in schools, doctor offices, and retail stores, just to name a few. 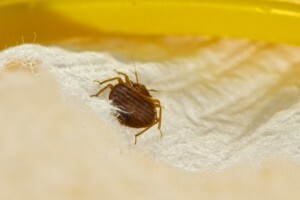 Bed bugs are adept at moving from location to location. Signs of bed bugs, besides the itchy bites, include the yellow skins these pests have shed, and dark stains on sheets, comforters, and mattresses. They hide in dark secure places such as between couch cushions, inside crevices along baseboards, stored boxes, backpacks, and even loose wallpaper. If you want to avoid being known as the “hottest ticket in town” for bed bugs, get NJ pest control professionals involved. 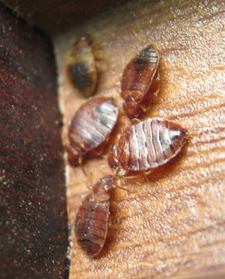 Their expert knowledge and bed bug savvy techniques can ensure a bed-bug-free environment. For an inspection and plan of action, contact Stern Environmental to schedule one of our NJ pest control technicians to give your home the once-over for finding potential pesky problems. Come Hear All the Recent Facts and Ways to Fight Bed Bugs at the November 27th Summit! NJ pest control professionals who want to learn more about bed bugs can do so at the upcoming Global Bed Bug Summit. The event takes place at the Sheraton Denver Downtown in Colorado November 27-29, 2018. The National Pest Management Association (NPMA) is hosting the Summit and has plenty of activities scheduled. There will be industry experts discussing and showing some of the latest innovative information relating to bed bug research. 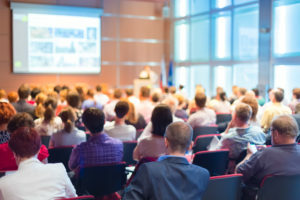 The Summit will also have a variety of exhibits where you will have access to pest management professionals displaying new techniques and products relating to handling the threat of bed bugs. On Tuesday, November 27th, The Colorado Pest Control Association will be in town for the Fall Conference held annually. Attendees of the Global Bed Bug Summit are invited to attend and take advantage of gaining more knowledge as well as listening to keynote speaker, Ryan Avery. The Sheraton Denver Downtown is conveniently located near dining, shopping, and entertainment. From the NPMA website, you can make reservations at the hotel. Reservations made by November 2, 2018, pay $149 per night with the group rate. At Stern Environmental, our NJ pest control specialists are up-to-date on bed bug news and technology. Whether you have a few bed bugs or a serious infestation, our staff is knowledgeable and has the experience and sophisticated equipment to rid your home of pests. Call today. Even Mickey Mouse isn’t immune to bed bugs as a New York couple staying at the Disney Vero Beach Resort can attest to. According to Kevin Hamedi and Allyson Masciotti-Hamedi, their room was infested with the bloodsucking pests. 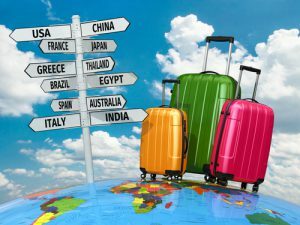 Bed bugs are notorious travelers and with more people crisscrossing the globe, there has been an increase in bed bug activity infiltrating modes of transportation, dining venues, and hotels and resorts. This couple filed suit against the Disney Company stating that they had failed in their obligations to provide precautions. While bed bugs are a nuisance, there is no evidence these pests carry disease. They hide in dark warm places and venture out of their hiding places in search of warm-blooded food, which is you and your sleeping family. Bed bugs do not discriminate and will make their home in a 5-star resort as easily as a budget-friendly motel. Their bites can create red itchy welts and for some the bite can cause an allergic reaction. For the most part, over-the-counter products won’t take the bite out of bed bugs. When they create an infestation, NYC bed bug specialists are needed to eliminate them quickly and efficiently with the right tools and treatments. Need professional NYC bed bug specialists to take care of your infestation? Contact Stern Environmental Group to schedule an inspection and the best course of action to send bed bugs packing. Over the last few months, the name AirBnB has become synonymous with bed bug infestations. This is much to the chagrin of the company and their hosts, particularly in New York City. It appears that there is a link between bed bugs and AirBnB, but it’s not easy to determine what this really means. As your NYC bed bug specialists, we feel that it’s important to get to the bottom of this problem. Should Travelers Avoid AirBnB in NYC? That’s a great question. AirBnB has become popular among travelers to the Big Apple because it’s affordable. However, people who choose this company for lodging may end up bringing home bed bugs. The people who host for AirBnB in NYC aren’t easy to talk to about this problem. They don’t want to discuss bed bugs with anyone, or their affiliation with AirBnB. This is because they’re illegally renting out their apartments. Maybe you’ve recently traveled to New York City and stayed in an AirBnB location. If you think you may have brought bed bugs home with you, you need to get professional help to tackle this problem. At Stern Environmental, we use only the best methods of bed bug treatment available. Bed bugs are not a problem to take on by yourself. Contact us today for an inspection and our expert bed bug treatment services.